Pool Xperts was established in 2012 with a purpose of serving the deeply fractured and underrepresented swimming pool industry. Our goal has been to lift up the image of the industry for this amazing recreational and therapeutic asset home owners have in their backyards. Pool Xperts has grown from providing professional, reliable and affordable pool maintenance services, repairs and remodeling into custom building. We have expanded into custom build spectacular and outstanding swimming pools and outdoor areas to entertain and add beauty to customer’s backyards. Pool Xperts has raised the bar in providing customer service in all the aspects of the swimming pool trade; from design, construction, service, repair and remodeling. Our team of outstanding individuals is committed to care for what we do as if it were our own project. We take pride in our work and are always seeking to better ourselves by consistently being educated with the latest trends and best practices for our industry. At Pool Xperts we understand that a pool is more than just a body of water. 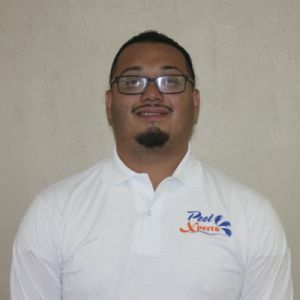 Alain holds an Engineering degree with emphasis on mechanical engineering, and fluid mechanics from Baylor University. Alain also holds a valid Texas educator's license from TEA as a bilingual teacher. He served as a teacher for 4 years with Dallas ISD. Alain has been in the swimming pool industry since 2006. He started as a partner with RH pool service implementing new ideas and concepts and make best use of his background experience. Due to a difference in philosophy Alain decided to found Pool Xperts in 2012 to take his vision to the next level providing not only honest and reliable service, but also affordable and appealing designs for every budget. 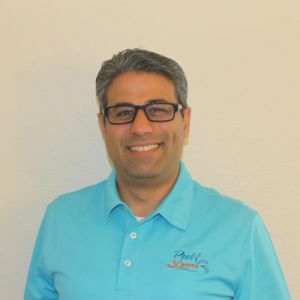 Alain is passionate about helping home owners make their backyard paradise dreams come true, whether it be remodeling an existing swimming pool or creating a breath-taking, energy efficient, custom designed pool. Alain has been happily married to his wife Sandra for 20 years and they both delight in raising their son Nathaniel. Alain is a foodie. He likes to entertain and is hospitable. One of his favorite things is to fire up the grill and cook some steaks! Sandra holds an Industrial Engineering degree from Javeriana University. 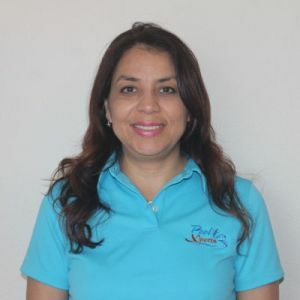 Sandra also holds a valid Texas educators license from TEA as a bilingual teacher. She served as a teacher 3 years with Dallas ISD. Sandra has been in the logistics industry since 1997. She has extensive background with operations improvement and automated material handling systems for distribution centers. She also has experience with software design, requirements, testing and deployment. Sandra decided to transition her lucrative corporate experience and work alongside with Alain to raise the bar in the pool industry. She is a dedicated mother, great cook and loves to Zumba. 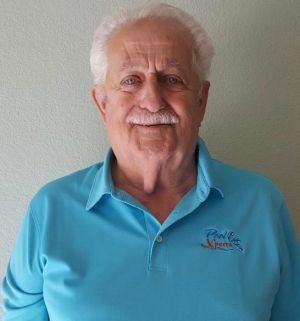 Joe started off his career in the navy in the electronics department. He then moved onto the repair of cryptosystems (encryption algorithms). In 1971, after his military service and experience, he started building high-end above ground pools and then in the 1980s transitioned to building in ground pools. 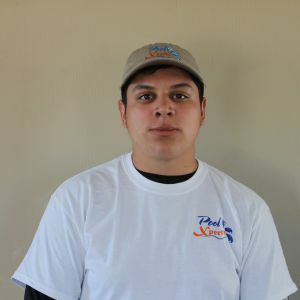 He has managed, designed and built over 1000 pools in the metroplex area. 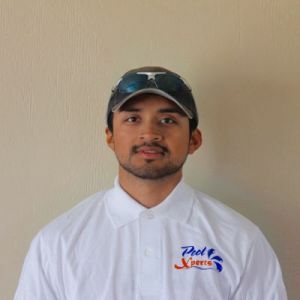 Joe is a master experienced pool builder and is knowledgeable in all aspects and phases of construction in the swimming pool and spa industry. His hands-on approach in the multifaceted construction process ensures the highest standards of quality control and timeliness on every pool project. Joe and Nancy have been married 9 years. They are the proud parents of 3 dogs, Lady, Tramp & Astro, along with 1 goffin parrot named Buddy. They have worked together in the pool industry for over 25 years! Nancy holds an associate degree in business and used to own a swimming pool company (30 years with an A+ rating from the BBB). 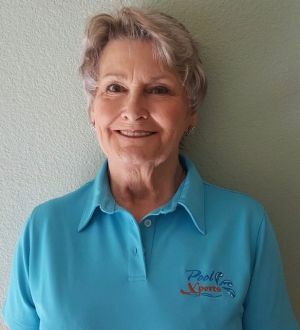 She has been in the swimming pool industry since 1985 and was one of the first female owned pool builders who designed pool models using 3D software. Her beautiful designs range from simple and modern to complex and multifaceted to satisfy a range of your personal preferences blending to your outdoor décor and lifestyle. Nancy was a girl scout leader for 11 years. Her hobbies include cake decoration and jewelry making. Highly-efficient, “self-maintaining” pool designs and features. More than just pools. 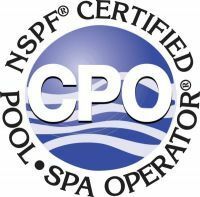 “Complete Backyard Solutions"
Pool Xperts was nationally recognized as a Top 50 Service Company by Pool & Spa News Magazine, Oct 2018. 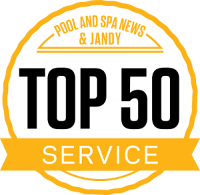 Since 2012, Pool & Spa News and Jandy have partnered together to power the Top 50 Service Excellence Award, which recognizes the top 50 Best Pool Service Companies. Pool Xpert is proud to be associated with the following associations. Forney Chamber of Commerce exists as a vibrant business network connecting its members with the community to provide continued growth & prosperity. Membership in the Forney Area Chamber of Commerce provides you an opportunity to invest in both your personal and business future! HomeAdvisor is a digital marketplace that connects homeowners with prescreened, local service professionals to complete home improvement, maintenance and remodeling projects. HomeAdvisor also offers homeowners home improvement project planning resources like True Cost Guide, where customers can view average project costs. HomeAdvisor is a free resource for homeowners, and a paid network for service professionals. More than One Million consumers use Angie's List to find high quality service companies and health care professionals in over 500 categories. From plumbers and painters to dentists and dermatologists, reviews come directly from homeowners in your area. • The “certified data collection process” prevents companies and providers from reporting on themselves or their competitors. • The Angie’s List “Complaint Resolution Team” will intercede if a home repair or health experience goes bad. • Companies and providers respond to reports, so you get the whole story. Texas Residential Appliance Contractor license #712 - Regulated by: The Texas Department of Licensing and Regulation, P.O. Box 12157, Austin Texas, 78711, - Phone: 1-800-803-9202, 512-463-6599; - website: www.license.state.tx.us - TDLR regulation limited to electrical work only.